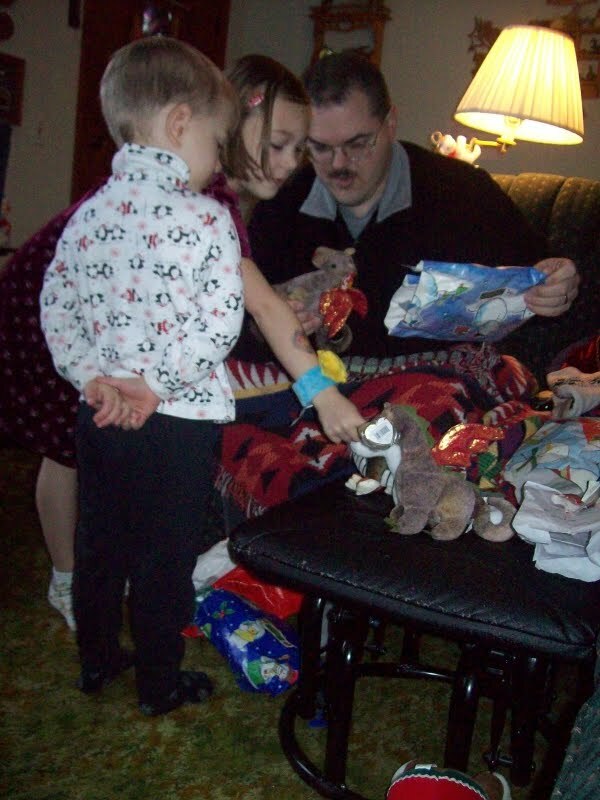 The kids each gave Daddy a stuffed dragon for his collection. 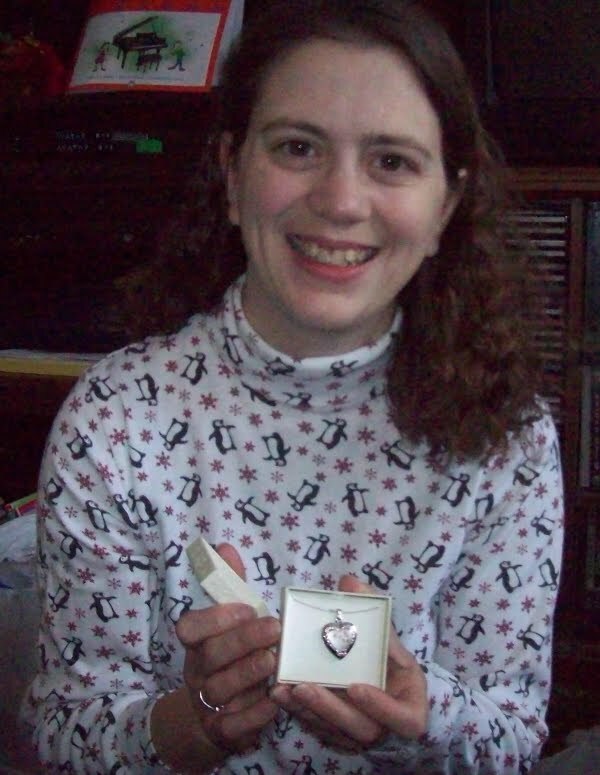 My present, a locket that says "Mom" on it. 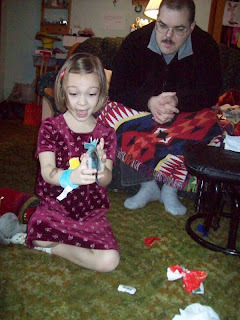 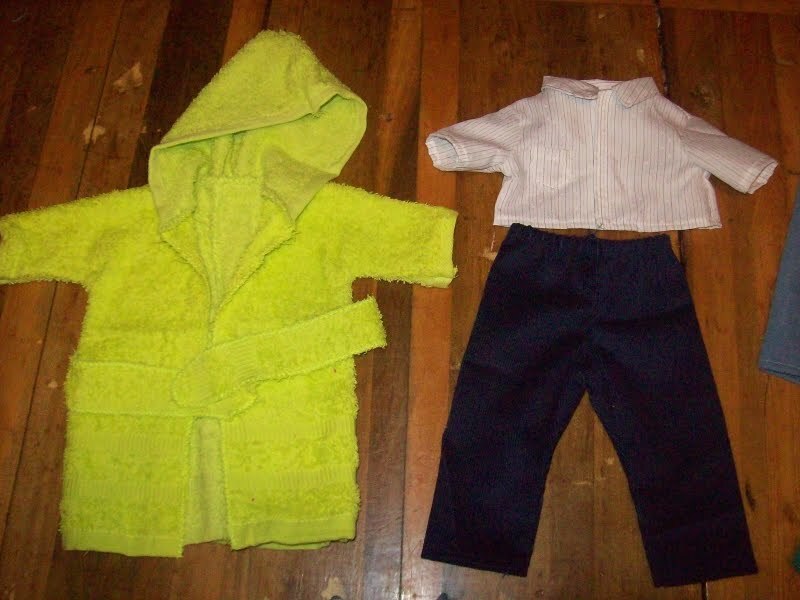 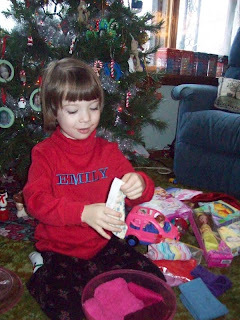 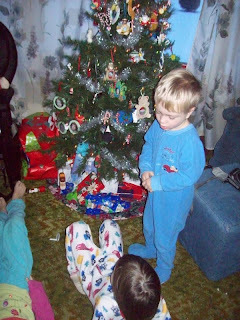 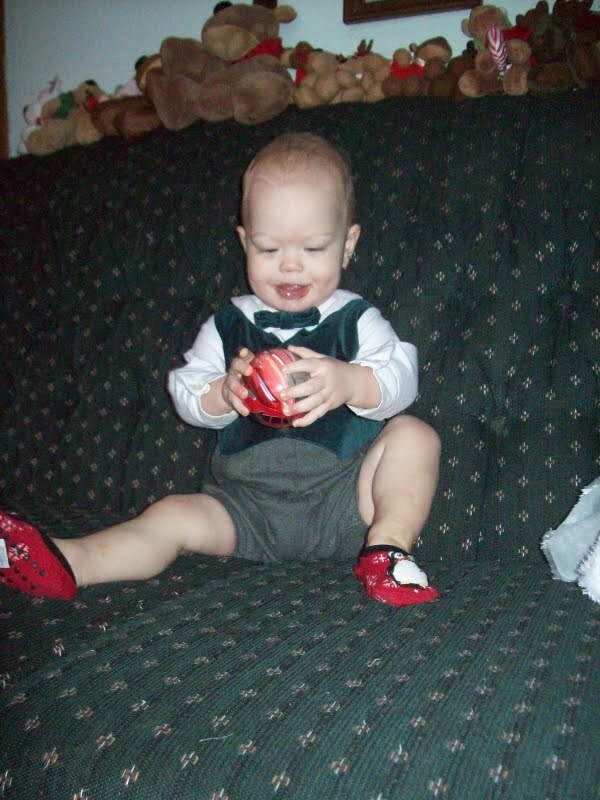 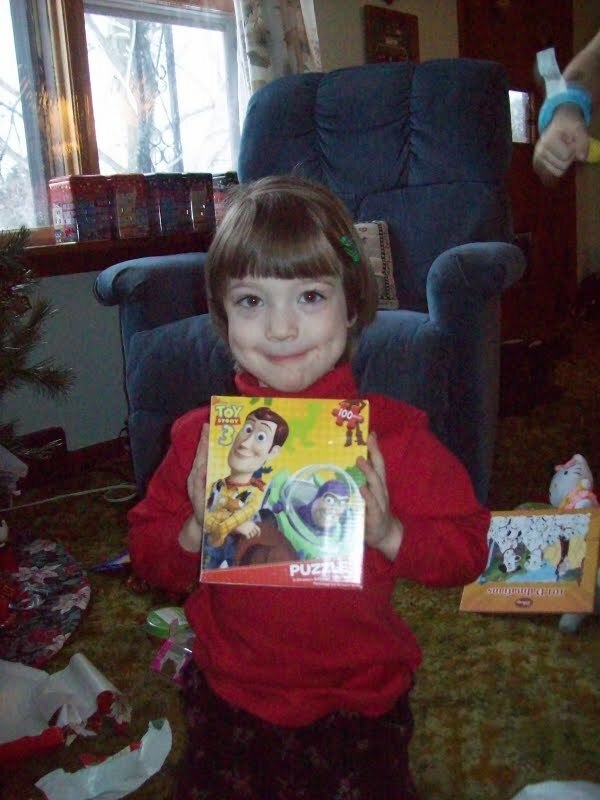 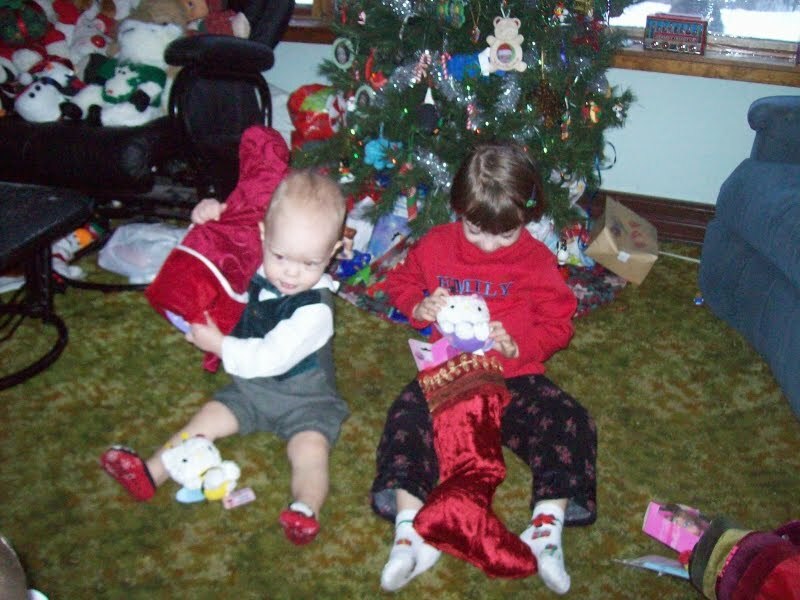 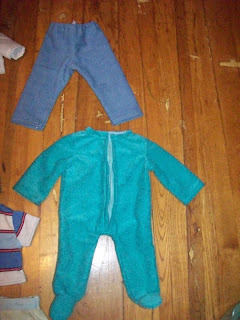 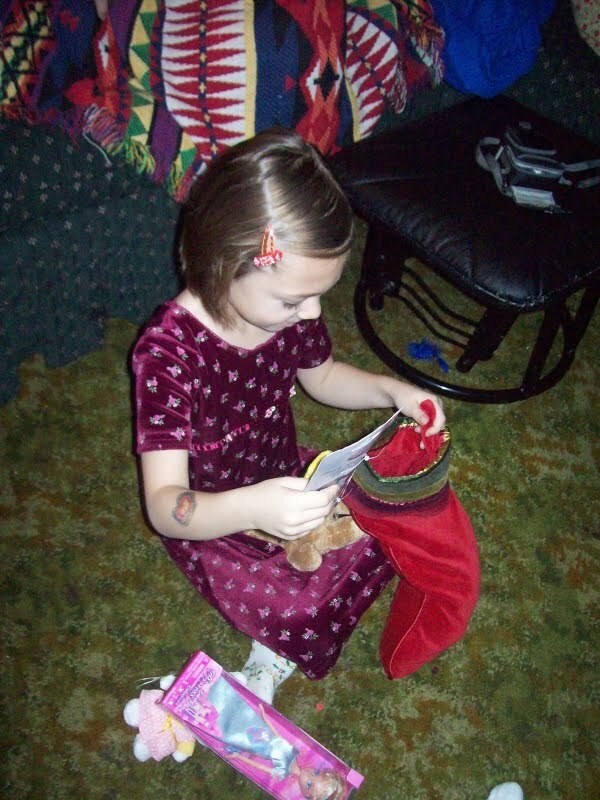 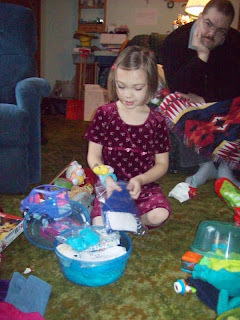 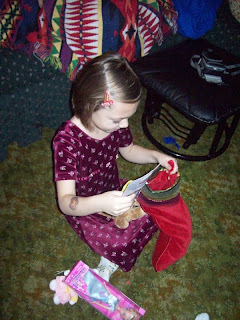 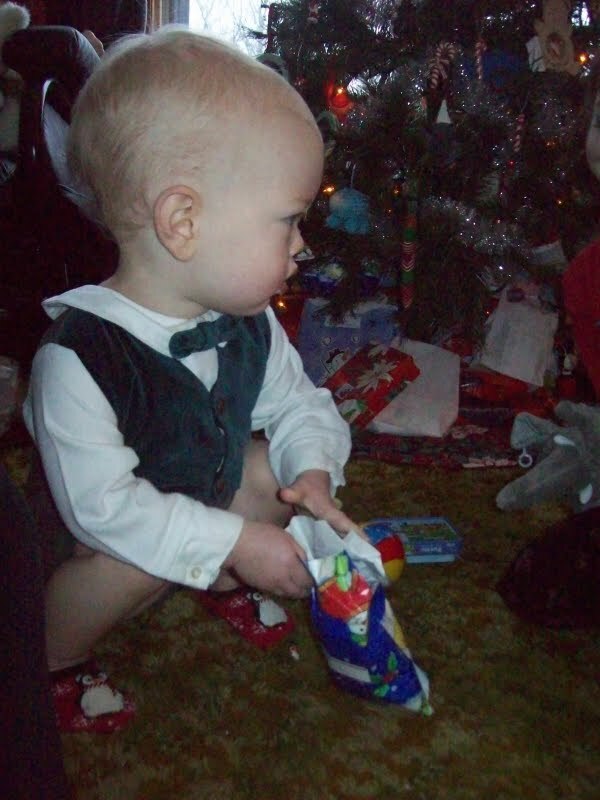 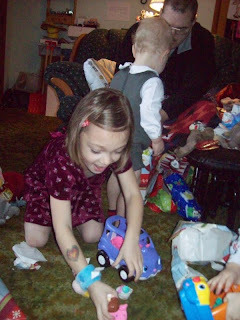 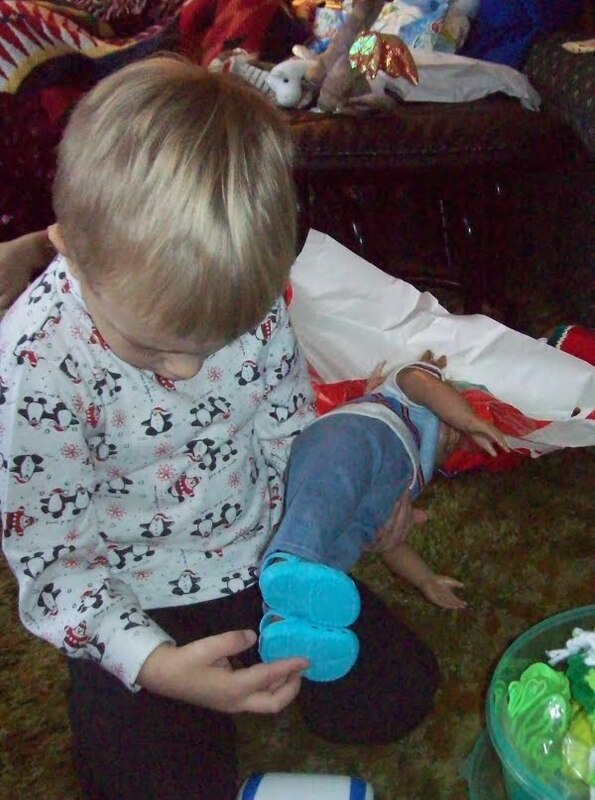 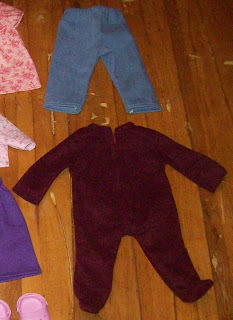 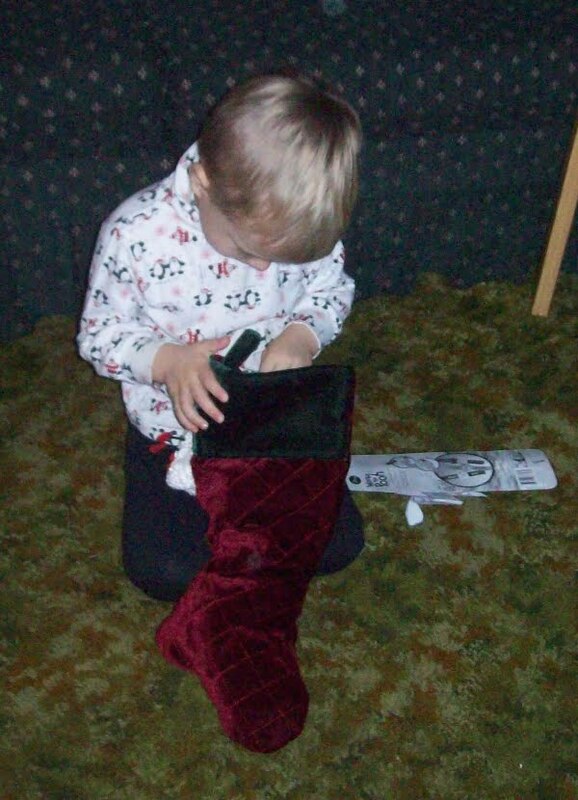 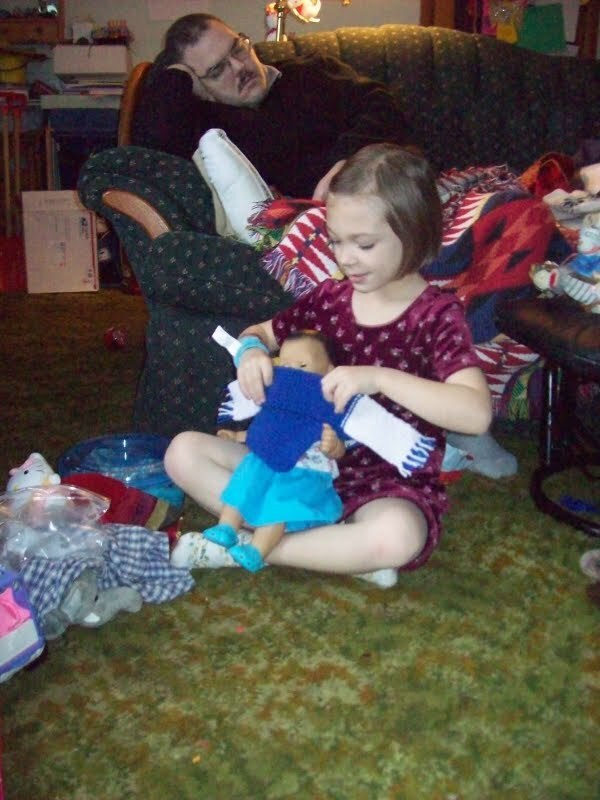 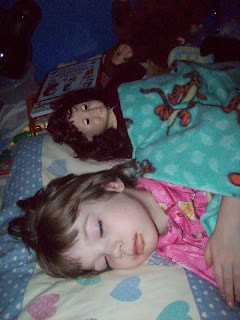 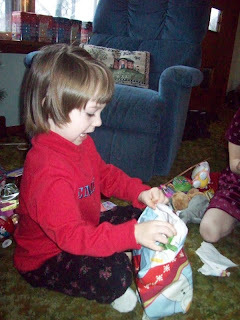 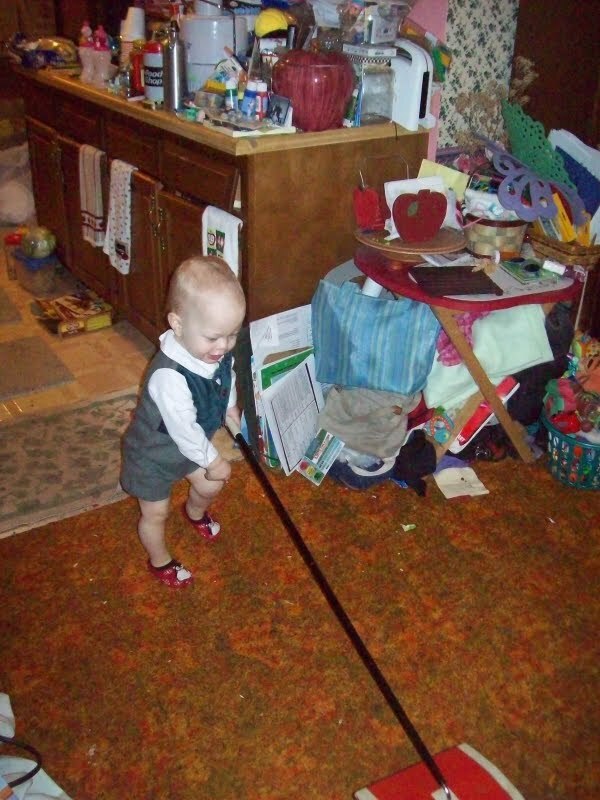 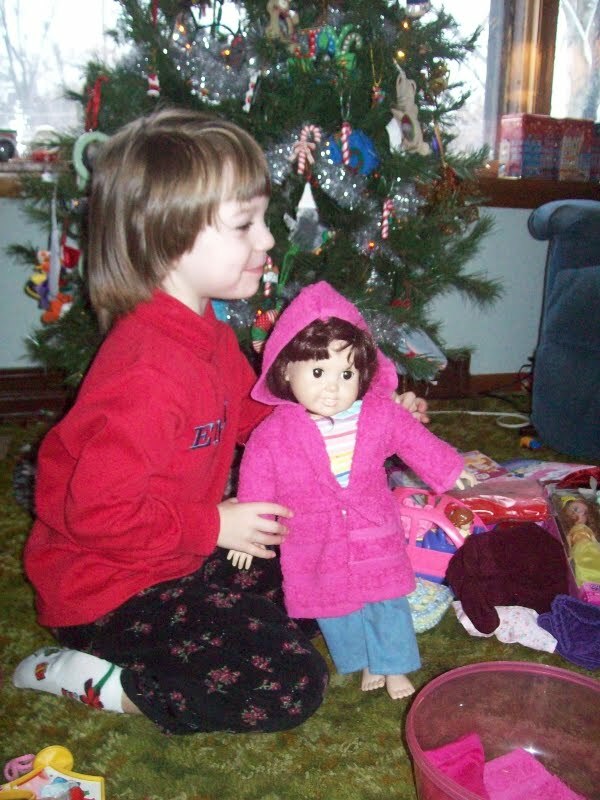 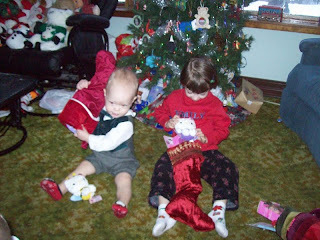 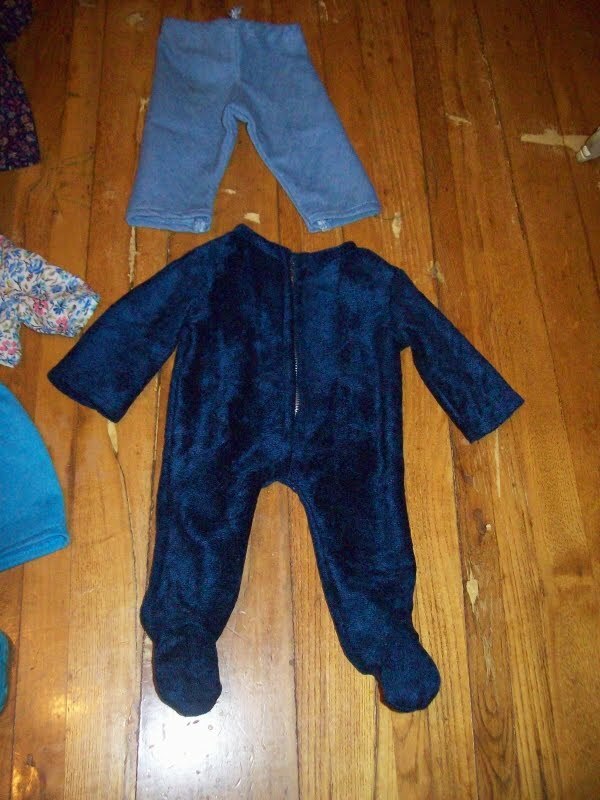 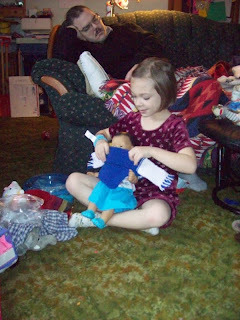 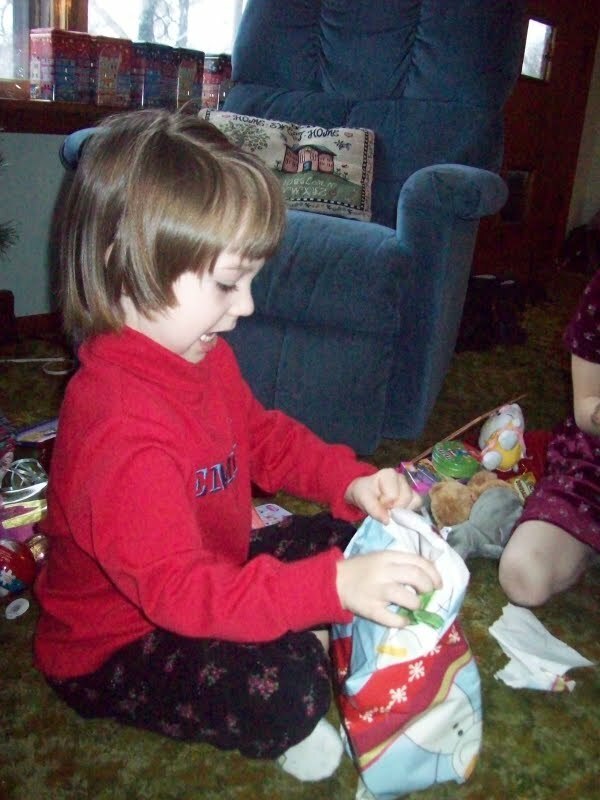 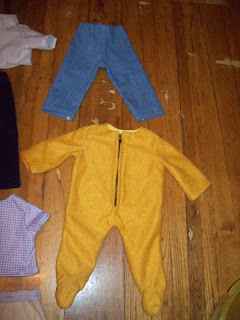 Now, the pictures of the kids with the doll clothes I sewed for them. 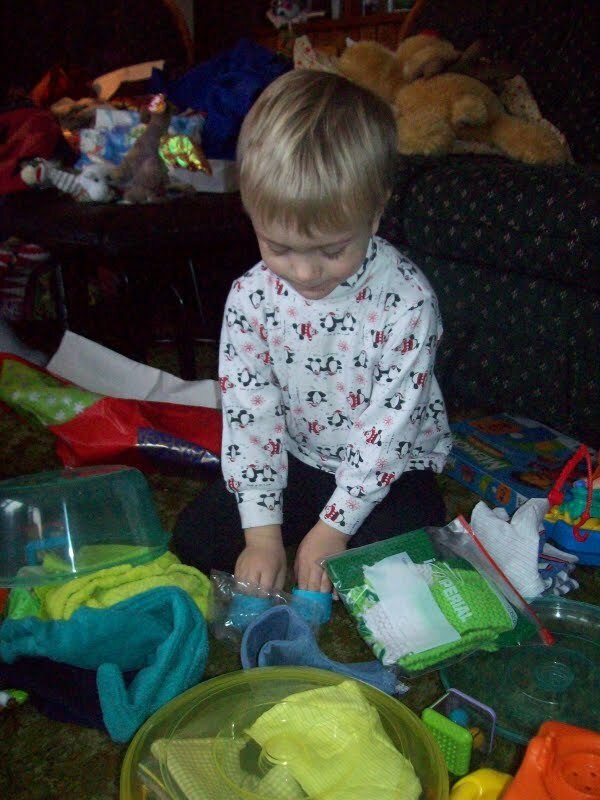 A little video of Andrew cleaning. I had decided quite awhile ago to make clothes for the kids' 18" dolls for Christmas. 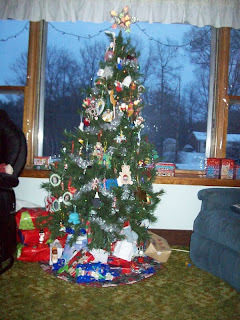 It was quite a time consuming project. Especially since I couldn't work on it when the kids were around! 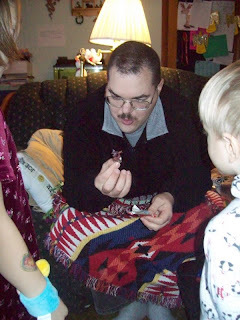 Pullng a muscle in my back from coughing didn't help, either! 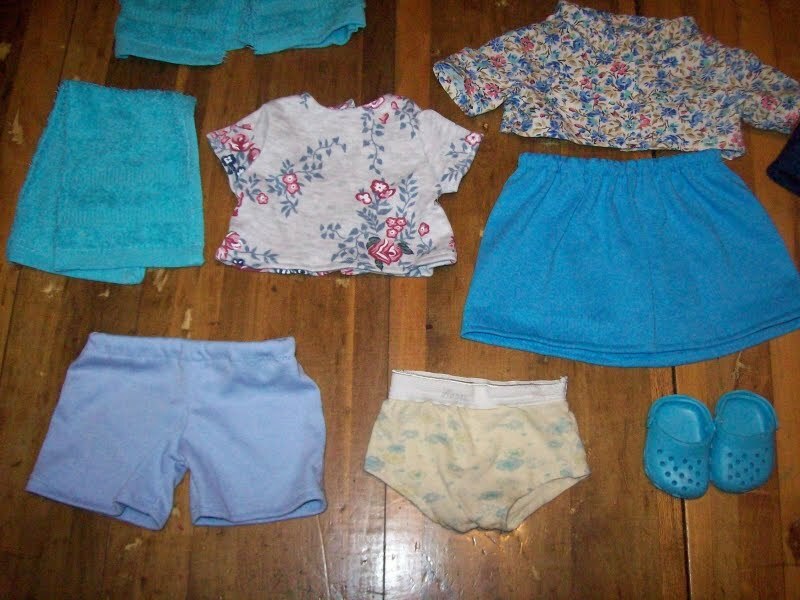 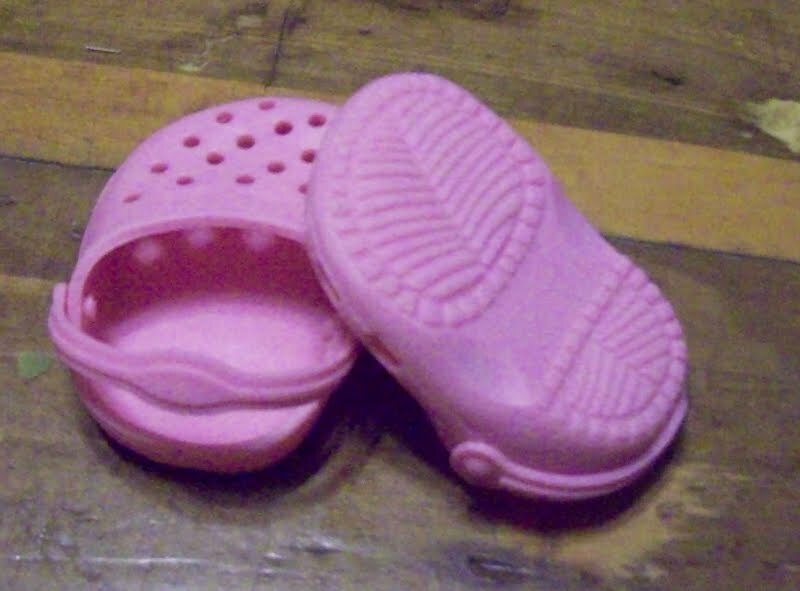 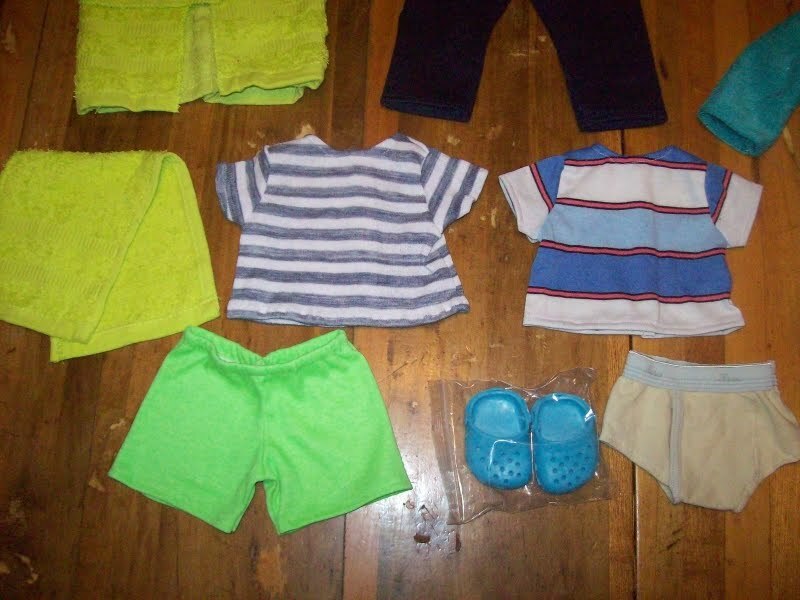 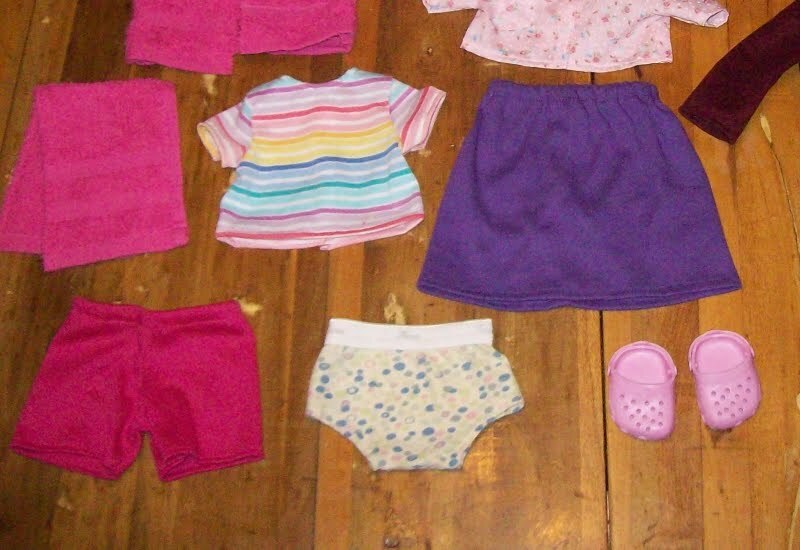 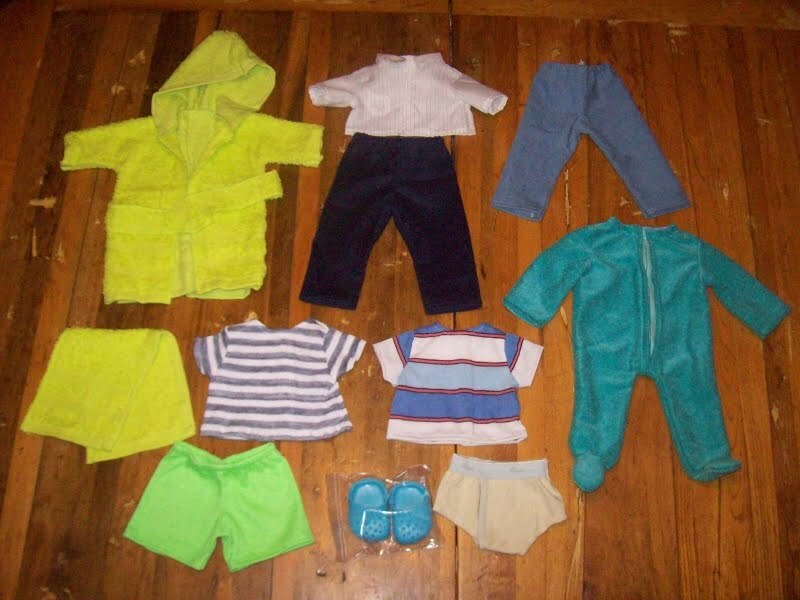 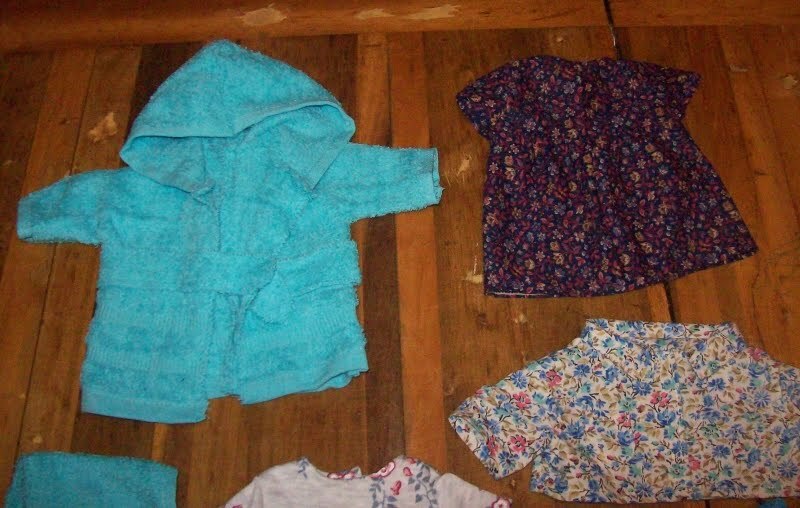 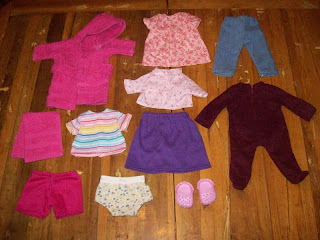 Each doll ended up with 10 clothing pieces plus some doll "Crocs". 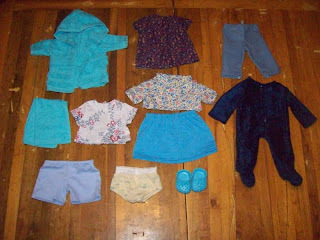 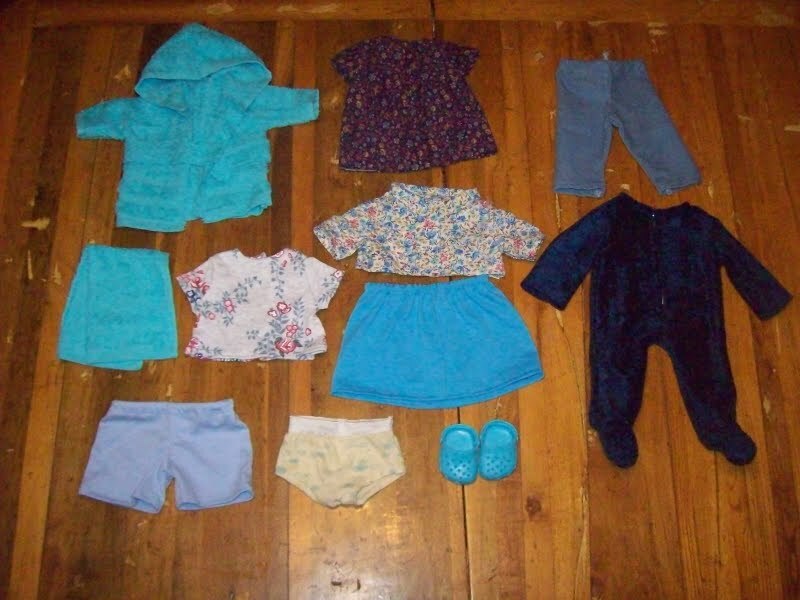 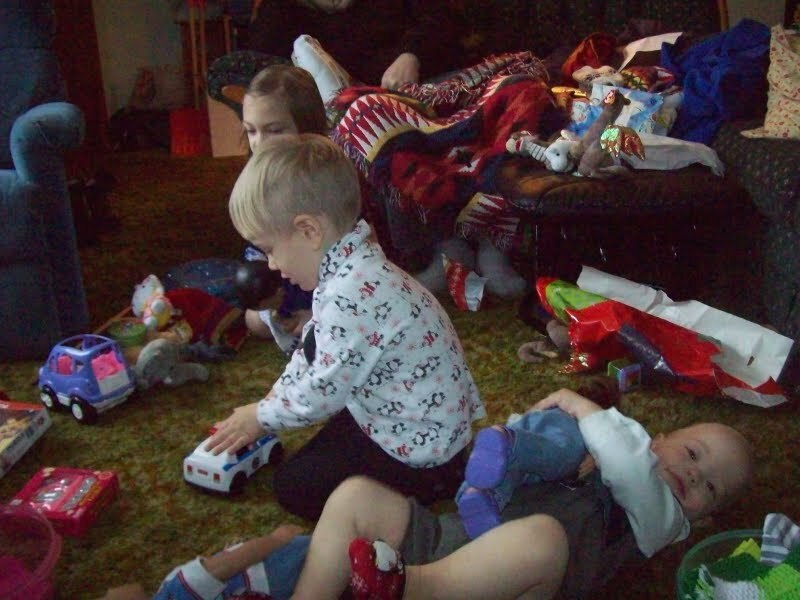 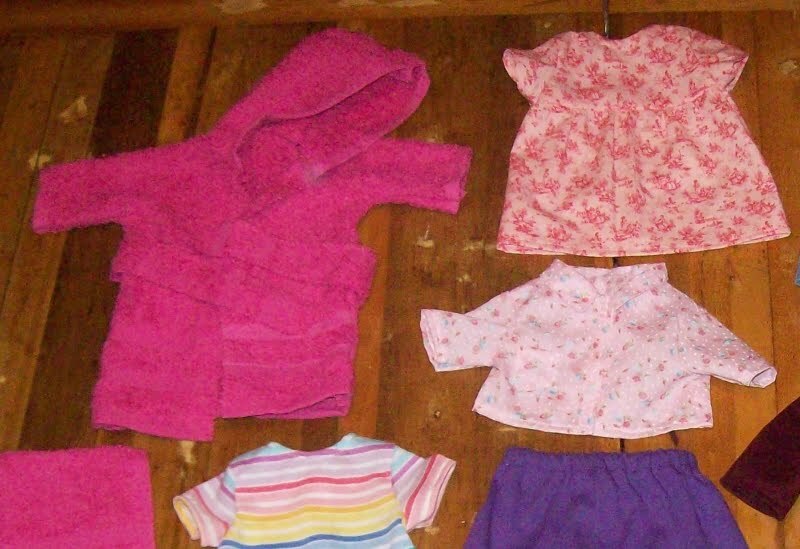 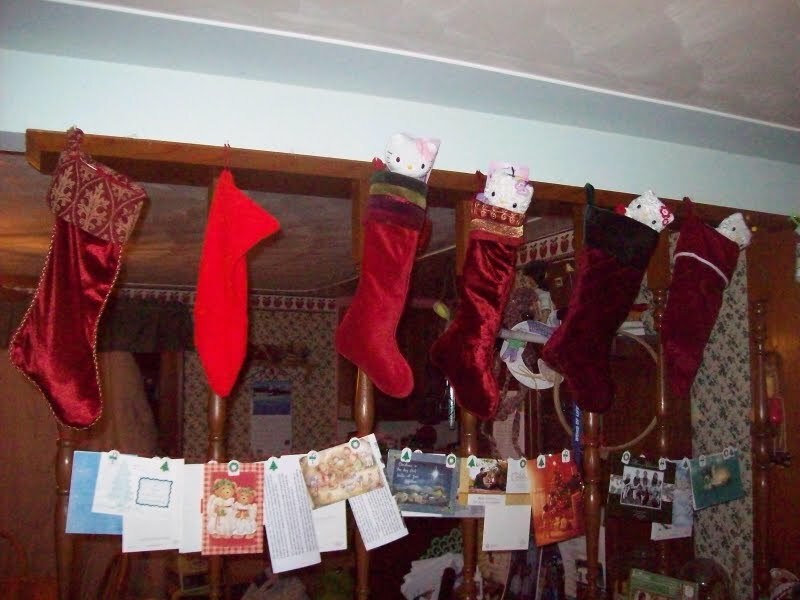 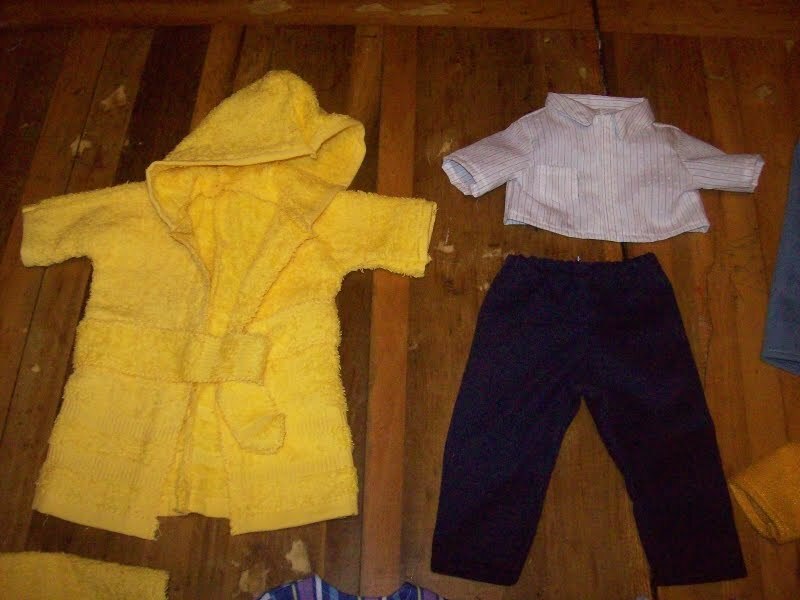 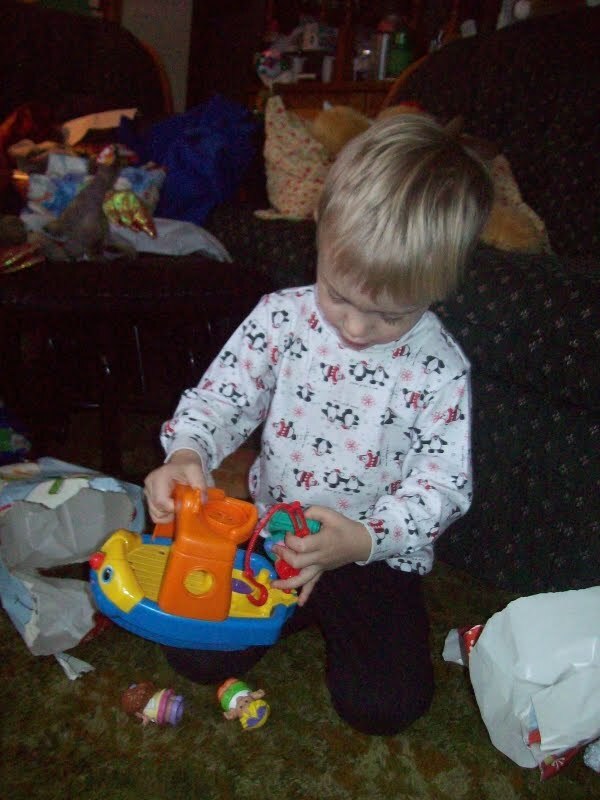 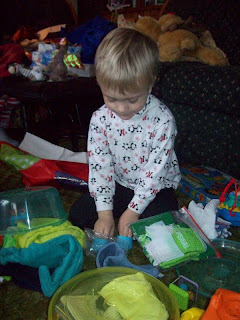 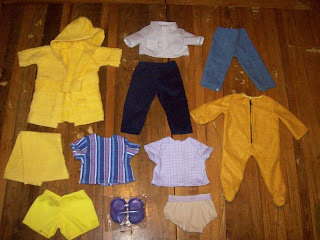 Each kid has a color that we use to mark their toys and belongings, so the doll clothes, for the most part, followed suit! 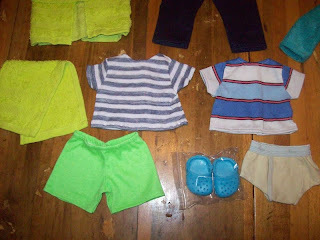 Close up of towel, t-shirt, dress shirt, skirt, shorts, undies, and Crocs. Will's color is green and the bathrobe really is a green color! 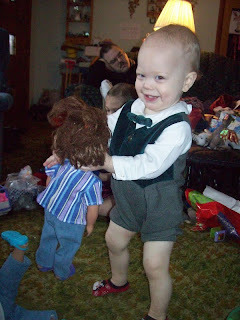 The boys got an extra t-shirt and a pair of dress pants instead of the skirt and dress. The boy's undies have fake flies! 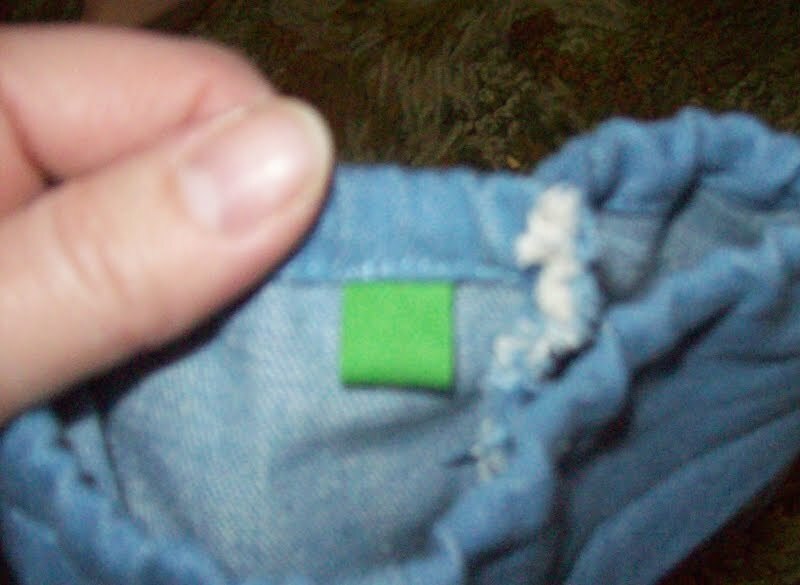 For the things that didn't fit the color coding system, I put bias tape "tags" to show who they belonged to. 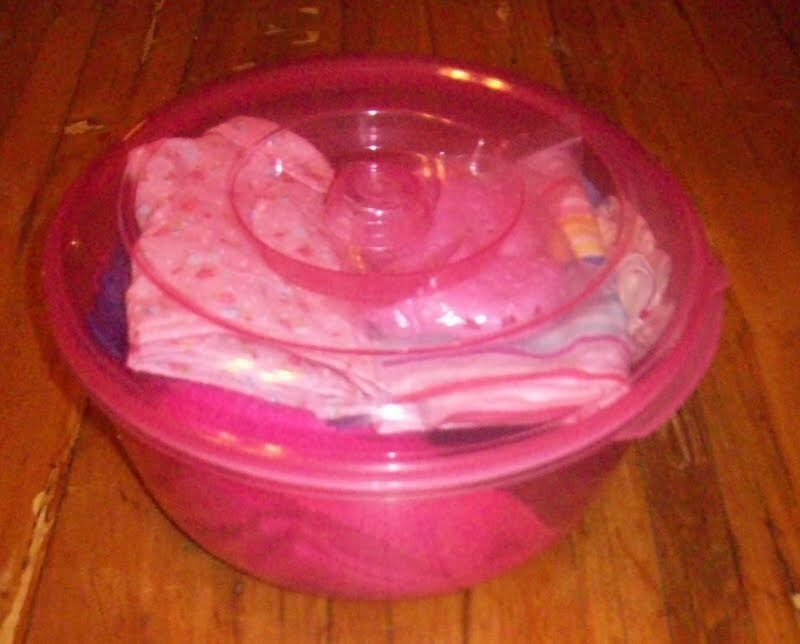 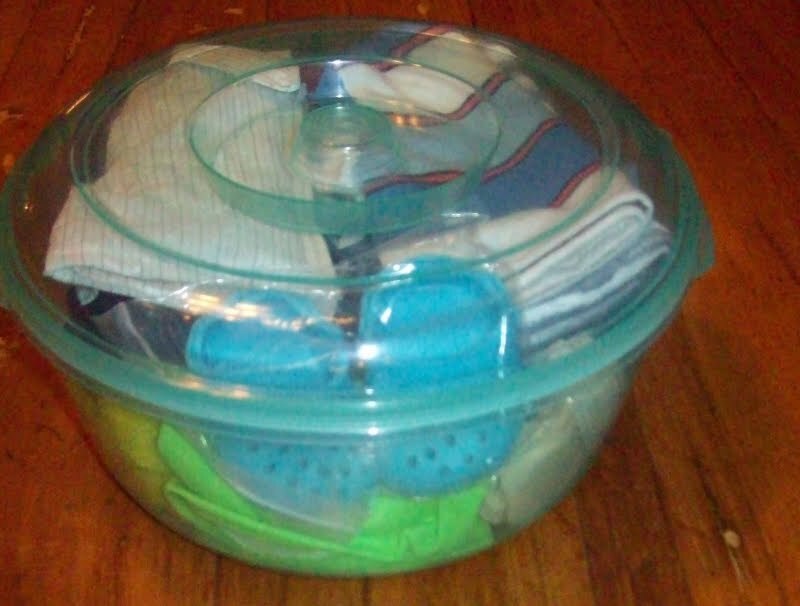 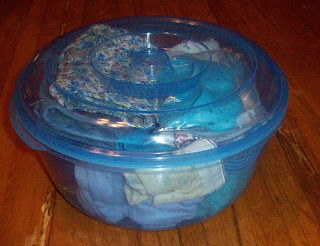 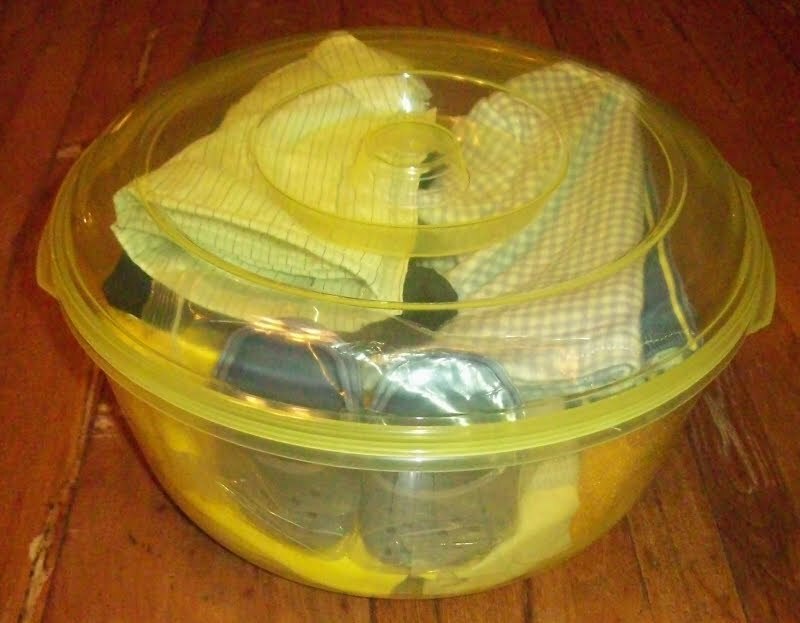 I put the clothes into color coded tubs my parents found while on vacation. 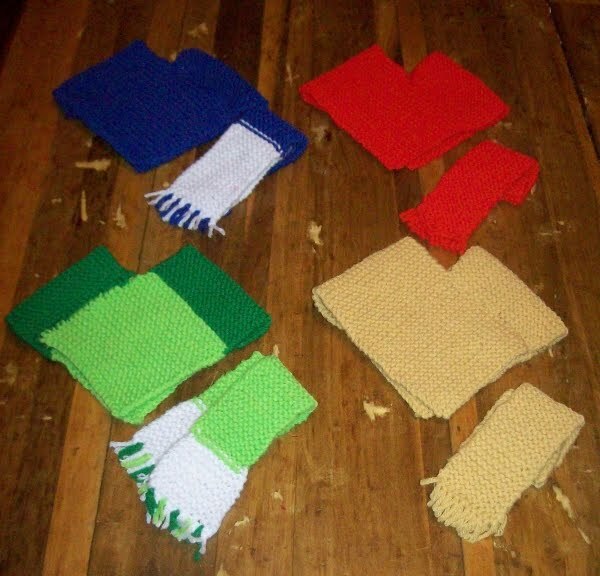 Grandma knit ponchos and scarves for the dolls, too. 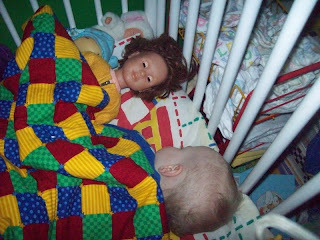 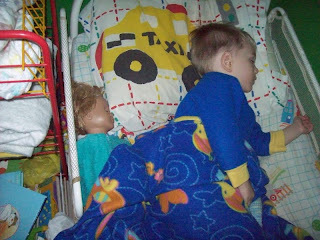 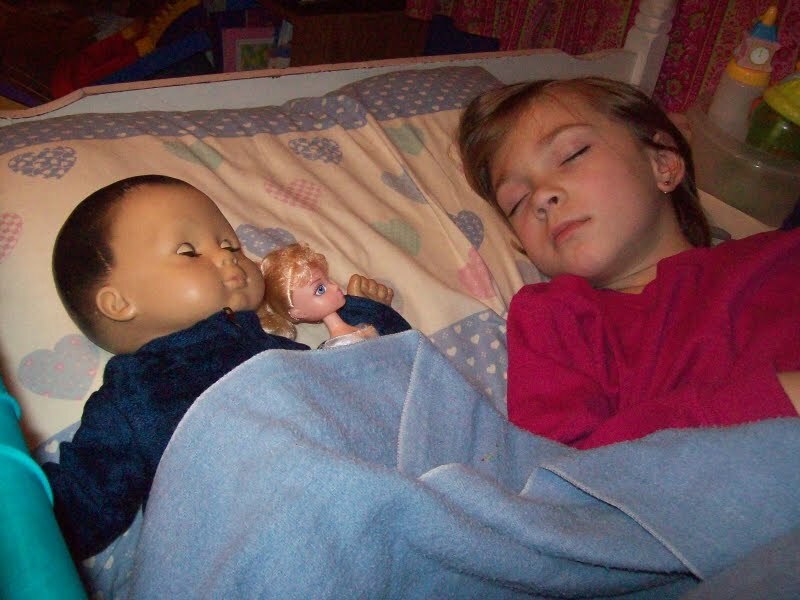 I will post pictures later of Christmas and the kids opening the clothes, but I wanted to at least post the ones of them sleeping with their dolls who have on their new jammies.